Want to make more money than you ever dreamed as a freelance writer? You can as a self-published ebook author. And, it's easier than ever. This ebook gives you 12 reasons - many you probably never even thought of - of why you should. I've published over 25 books as a freelance writer. And, all this advice is first-hand. 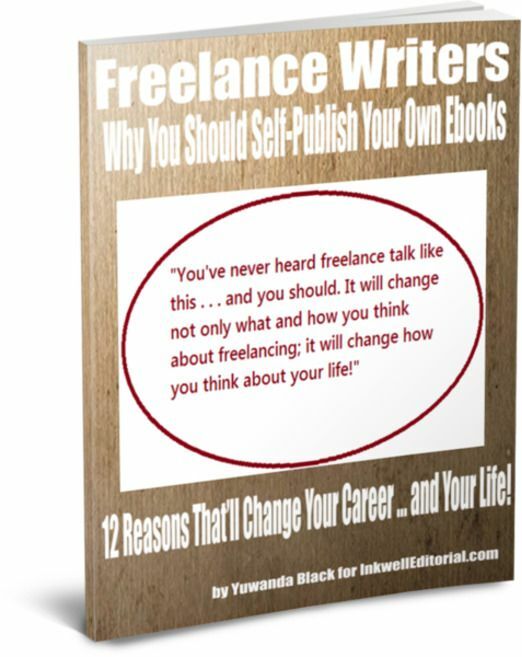 If you're a freelance writer, this ebook will give you a new way of thinking about your career, whether you've been doing it for years, or if you're a newbie. If you’ve never thought concretely about it before, the info/ideas discussed here will start you thinking about things most freelancers – especially newbies – don’t take into account. I’ve been a freelance writer since 1993, and didn’t experience real success until I started implementing some of the things discussed within. Hopefully this insight will help you do the same – and go on to create a more profitable, long-term career that you control – not outside forces. To this end, following are 12 reasons I believe every freelance writer should write and self-publish their own ebooks.